Experience a timeless Christmas tale of a young girl who, after a party at her home, is spirited away by her magical godfather and finds herself in a fantastic world where toys become larger than life. 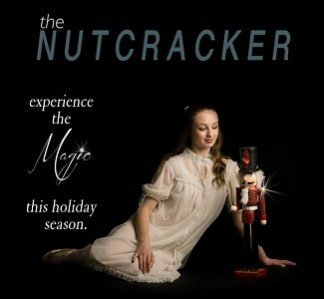 Her beloved Nutcracker comes to life and defends her from the Mouse King. Together they embark on a magical journey through the Land of Snow to the Kingdom of Sweets where they are greeted by the enchanting Sugar Plum Fairy and other dancing wonders. This magical retelling of E.T.A. Hoffman’s famous tale features a huge cast playing more than 100 roles with numerous costume changes between numbers. With equally sumptuous costumes and imaginative sets, Northern Dance Theatre Society’s incomparable The Nutcracker delights your entire family with its beauty and splendour. Northern Dance Theatre Society, Studio 2 Stage, and Stage North Theatre Society will present this perennial holiday favourite, choreographed by Shauna Milne. Northern Dance Theatre Society is a non-profit parent organization that supports the competitive dance troupe of Studio 2 Stage Dance Academy. The Society fundraisers assist the troupe by providing costumes and festival for group dances, subsidizing educational workshops and a two week summer school with classes and choreography in ballet, tap, jazz, hip hop and other disciplines. The members of NDTS provide support as well, for the recreational dancers of Studio 2 Stage through costuming and stage managing two annual recitals.